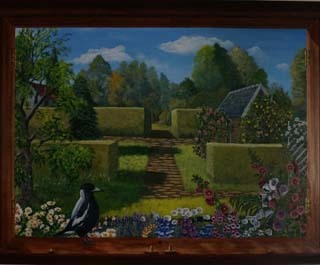 The product of a Trompe L'Oeil workshop done with Victorian Artist John Lowry. This painting now adorns my kitchen wall. Yes, I’m a “Pies” supporter!